AiClay - a Haven of Miniature Food: A happy burger. 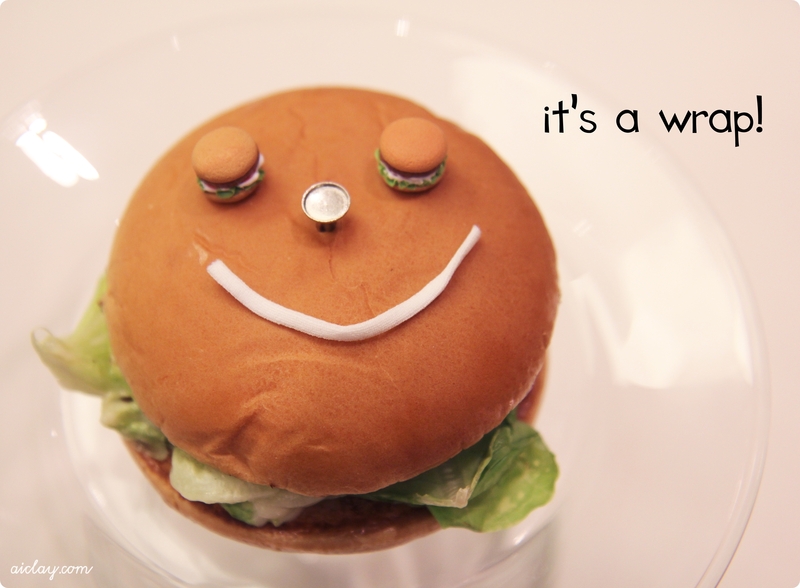 P.S This smiley face comprises of miniature burgers on a real burger, with the earphone jack accessory as the nose and a string for the mouth. No prizes for guessing what we were filming!